The School of Music offers the Bachelor of Music, Master of Music, and Doctor of Musical Arts degrees in composition. The composition program offers annual orchestra readings of student works, weekly composition seminars, numerous concerts featuring student works, and concerts of electro-acoustic music. The information provided below is subject to change. 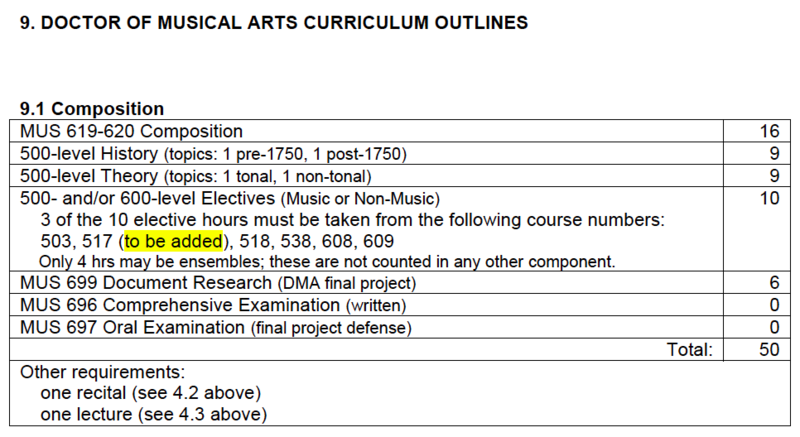 The full University of Alabama School of Music Graduate Handbook may be found HERE.